The Minnesota State Fair can be a little overwhelming, and while we cannot offer any parking solutions, we can help guide your fair experience with some tips and advice. I have personally gone through way too much state fair information to try and distill those activities and events which may be of interest to the reader of Simple, Good and Tasty. As always, if you have anything to offer, please let us know! The first question that comes to my mind each year is: "When should we go?" I often try and find times when there will be the smallest crowds and therefore, shortest lines. Monday through Thursday have the lowest attendance numbers, so it makes sense to go then if you can. If you must go on the weekend, choose the first weekend. Historically, it is almost half as busy as the last weekend. For timing, the state fair grounds are open from 6 a.m. until midnight, with shorter hours on labor day. The actual buildings on the fair grounds usually open around 8 or 9 in the morning and close between 9 and 10. Find exact hours here. If you really want to avoid crowds and have the best luck parking, it makes sense to get there early, especially if you have kids. The Agricultural Horticulture Building, open from 9 til 9. This building is host to all things growing and grown. It is hosts to the vegetable and fruit, honey, flowers and local wine contests. 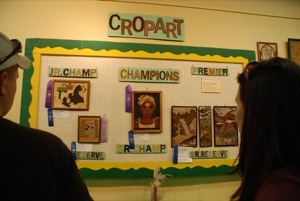 There you will also find a scarecrow contest, crop art (an amazing display of art made with seeds, leaves, etc.) and "seed-survivor", an interactive exhibit about the life of a seed. The Bee and Honey exhibit features a look inside a real bee hive, cooking with honey demos and honey harvesting. Finally, there is a series called "The Dirt Demos" that feature a daily horticultural expert sharing information and answering questions. To find out what is going on in the Ag Hort building go the the fun finder and select Agriculture Horticulture Building under the location tab. Little Farm Hands and Old Iron Show, on Lee avenue, across from the North Woods. The Little Farm Hands is a mock farm to market demonstration featuring mini barns, silos and a farmers market. Kids put on aprons and farm gear and then get to help with "farm chores". Looks like lots of fun for the little ones. 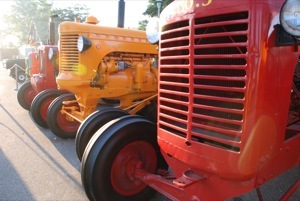 Of interest to the whole family who can appreciate a farm, is the Old Iron Show, a working demonstration of antique tractors and other farm equipment. The Food Building! Besides all of the many crazy food vendors, there is also a whole building jam packed with food offerings of all kinds. Go there for all sorts of food on a stick, but also for a Carnitas Asian Fusion Taco from San Felipe Tacos or for some Jamaican Jerk fries from Harry Singh's. The food building is between Underwood and Cooper avenues, just off of Dan Patch avenue. Find it here with their handy interactive map. Don't forget to try out the food finder before you go. The Eco-Experience in the Progress Center on Randall avenue. 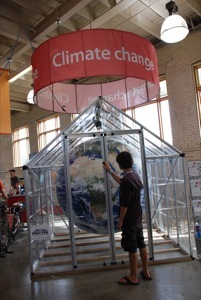 One of the newer exhibits at the fair, here you will find demos and info about renewable energy, environmental issues, green buildings, organic food culture and local foods. There are sample green homes, electric cars and cooking demos all inside this diverse and important building. Many of Simple, Good and Tasty's friends will be here, such as Renewing the Countryside (who are also in charge of organizing the Healthy Local Food exhibit), Cooks of Crocus Hill, daily CSA farmers and more. Heck you might even run into me there. The Creative Activities building is just bursting with textiles, art and homemade food products, including a kitchen and demo area with daily activities. Go see some blue ribbons and prepare to be impressed by your fellow Minnesotans. Again, go to the fun finder and make the location the Creative Activities Building. Thai Vegetable Carving and Butter Sculptures! What more is there to say. Thai vegetable carving will happen at the Festival of Nations stage on August 29th and 31st at 12, 1:30, 3 and 4:30. 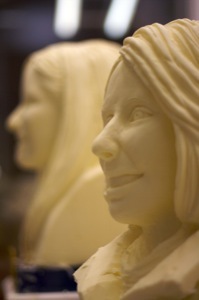 Butter Carve o' Rama is on Friday, September 2nd at 4:30 at the Cattle Barn and is open to the public! The Cattle Barn is also host to such favorites as a milk mustache contest and a milk drinking contest. 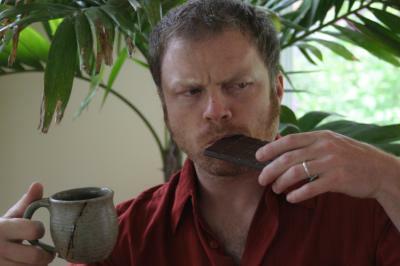 Mmmmm...indigestion! Fun to watch, maybe not so much fun to participate. I'm sure that there are about a thousand food/environment inspired events that I have missed out on, but this is a good start and if you are like me, plenty. In the end, I may just end up stumbling around on a sugar and grease high until I remember where I parked. At least this way, I know what I might be missing. Have fun and be sure to let us know your favorites! 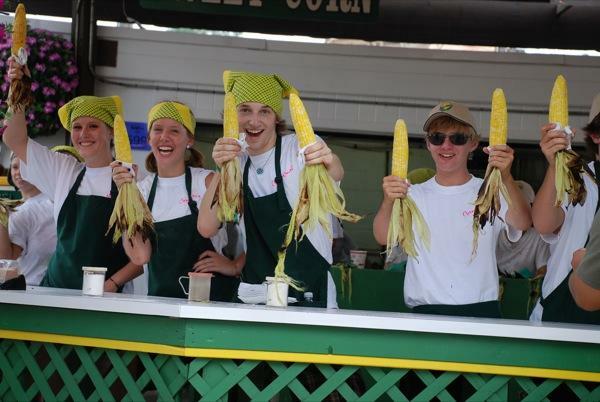 All photos: thanks to Minnesota State Fair.